This was a pick from the library shelves for my monthly book review column and was classified as Young Adult. However, I would argue that this rather wild adventure story would tick all the boxes for a good read for adults as well. It’s not a deadly serious novel and some of the events that happen are remarkably coinkidink, but it was still a good read that had an exciting narrative. The narrative begins with Hanney complaining about how dull life was now that he had arrived from South Africa and was living in London. In fact, he was so bored that if nothing happened soon (no job, I see), he was going to move back to then-Rhodesia. That evening as he was relaxing in his flat, a neighbor knocked on the door and asked for his help in stopping an anarchist plot by evil German spies to destabilize Europe and assassinate the Greek premier of the time when he visited UK. After proving that the story is real, the neighbor is found dead with a knife in his chest, and Hanney takes up the cause, going on the run as a fugitive to avoid being caught by the Germans (called Black Stone) and at first, the English law enforcement who were chasing him as a suspect in murder. It’s all a bit much if you read this with a serious mindset, but once I realized that it was a caper-type story, it was really good. One not so good point was that it is a reflection of the times, and has quite a lot of negative stereotypes and descriptions of minority groups. It’s difficult to get past that sometimes but this stopped after the first few chapters so I kept reading. (There was a lot in the first third of the novel, but once adventures start, the story stops doing that. And, as mentioned, it was a reflection of the times which doesn’t make it right, but it is what it is.) This prejudicial writing is strange as well when you learn about Buchan’s political beliefs as he was a multicultural supporter in numerous ways. Once Hanney reaches Scotland, he is chased by aeroplanes, by cars, by opposing spies and dogs. He has to fend for himself, and it’s all pretty clichéd but the writing kept me going. Buchan had a lot of exposure to life on the Scottish moors, and this was obvious when I read his descriptions of the glens and muirs and fells etc. I just fell into the world of the highlands and it was such fun. I’m definitely going to read more about Hanney. It’s not a deep and meaningful read, but it’s fast-paced and it’s fun. 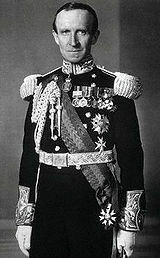 As an aside: Buchan was nominated for Governor General of Canada in 1935 and received the title of 1st Baron Tweedsmuir (great name for a mostly Scottish guy). He was one of the first Governors to be appointed once Canada had passed the 1931’s the Statute of Westminster. (A Governor General of Canada is the federal viceregal representative of the Canadian monarch (who is Queen Elizabeth II). The commission is normally about five years or so, and it’s now traditional to switch between anglophone and francophone incumbents.) 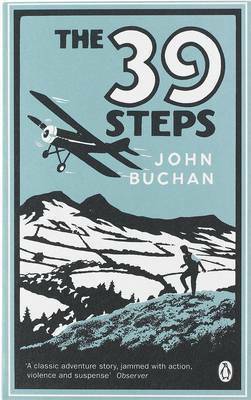 Buchan seemed to do a good job, with a heavy emphasis on literacy, multicultural causes, and other causes. Also had a pretty natty outfit (see below for details). This entry was posted in Uncategorized and tagged adventure, classic, drama, Fiction, Scotland, UK history by lizipaulk. Bookmark the permalink. Last month I saw a stage production of this, done in the style of a 1950’s radio play. It worked really well, emphasising the humour and highlighting the more ridiculous plot points. When I first read it, I took it very seriously but that quickly dissipated! I took it seriously when I first started reading this, but then, once I started get snitty with the book, I realized it was just a light-hearted action drama and went with the flow a bit. Glad I’m not the only one!